We live in a disrupted world, a world where synergy between the geo-strategic and geo-economic forces can no longer be assumed. Rather, they are now just as likely to work disruptively as the new driving forces of great power competition. The great powers no longer compete on the same terms, and within the same general rules of engagement. They now compete on different terms while seeking to establish new rules of engagement. While a resurgent and re-assertive Russia is seeking to exploit this disrupted world, two nations above all others – the US and China – will condition the global environment in ways that are as yet unimagined. Global stability and the security of all the nations that constitute the international community depend on how the US and China re-engineer and recalibrate their relationship. The success, or otherwise, of America and China in working together conditions the ability of all nations, including Australia, to provide for their security, whether in the national security, human security, financial security or environmental security domains. We are at a point in our history where we cannot simply await events without a clear sense of what we want, how we can best go about getting what we want, and at the same time contributing to a safer and more prosperous world. The starting point for working out how best to steer a sensible and constructive course for Australia in a time of disruption is to make sure that we understand, and very importantly articulate, what our national interests are, and how they relate to that more nebulous (but no less important) consideration, ‘the national interest’. You would all know that Labor has long advocated a fundamental architecture for our foreign policy – an architecture built around a strong alliance with the US, regional engagement and what Gareth Evans called good international citizenship. These principles frame Labor’s approach to international relations. 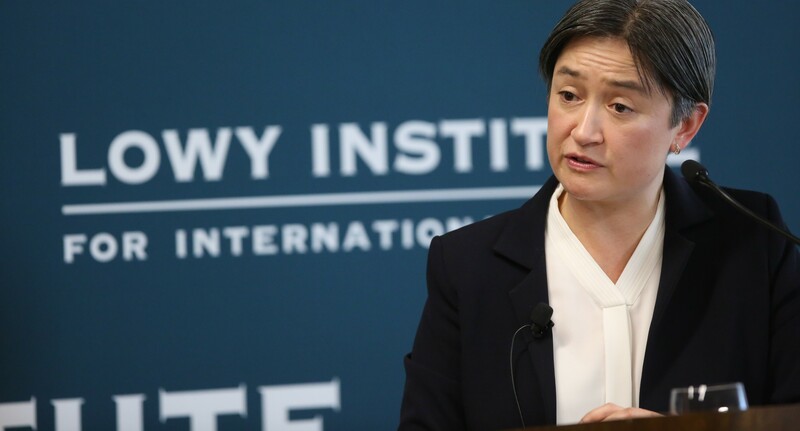 As Shadow Foreign Minister, I wish to use the opportunity presented to me today by the Lowy Institute to talk about what gives Labor’s foreign policy purpose – the foundational ideas that give our foreign policy direction. ‘The national interest’ is a phrase that public policy makers use to advocate and defend their policy arguments. But it is surprising how often ‘the national interest’ is invoked without any clear indication of what is intended. ‘The national interest’ is too easily used as a justification for a position in the absence of a substantive reason for the case. When Prime Minister Howard addressed the nation to announce his government’s decision to join the US in the Iraq war, his argument was: “the government strongly believes that the decision it has taken is right, it is legal, it is directed towards the protection of the Australian national interest “. But what the national interest was that he was trying to protect was completely undefined. In this instance, Prime Minister Howard’s use of the term ‘the national interest’ was designed to end the debate. As many of you would recognise, the same imprecision applies to terms such as advocating adherence to ‘national values’. As an element of his citizenship test recently, Mr Turnbull was unable to specify them. It is essential that we give meaning to ‘the national interest’ if foreign policy is to have meaning. Since at least the end of the eighteenth century, when Jeremy Bentham identified the principles that should underpin political reform, the idea of ‘interest’ has been both useful and problematic: useful, because it provides an insight into political motivation; and problematic because it is so difficult to define. Bentham observed “interest is one of those words, which . . . cannot in the ordinary way be defined”. This, I think, is the problem that faced Cardinal Richelieu when he referred to ‘raison d’état’ as the reason for siding with the Protestants to steer a course between religious affiliation and the affairs of state to bring France to an advantageous position during the Thirty Years War that ended with the Peace of Westphalia. I think it is important to recognise that the Australian national interest is something that is defined by the Australian Government and the Australian people. The national interest is not static, nor can it be defined in a mechanical way. It depends in part on prior strategic choices we have made, and is informed by the view we have of ourselves as a country, and by what we want to stand for. I think that Dr Calvert was right: the national interest cannot be static, nor can it be defined mechanistically. Equally, it cannot be left without points of reference or context: without those it risks becoming an excuse for imprecision and vagueness. We do ourselves a disservice if we allow ‘the national interest’ to become a conversation stopper. It is important to de-conflict the two expressions ‘national interest’ (singular) and ‘national interests’ (plural). The ‘national interest’ is about identity and power, giving foreign policy both legitimacy and authority. ‘National interests’ are what Australia seeks to protect and promote through its foreign policy, giving foreign policy its purpose and energy. ‘The national interest’ is substantive. ‘National interests’ are purposive. Without a clear sense of identity and power, we run the risk of allowing others to determine our future for us. The architect of the ‘realist’ school, Hans Morgenthau, went to the core of the matter when he wrote: “the main signpost that helps political realism to find its way through the landscape of international politics is the concept of interest defined in terms of power”. National power has both quantitative and qualitative characteristics. Geographical size, the natural resource base, industrial and military capacity, and an educated, trained and employed population, all constitute the quantitative aspects of national power. National culture, public attitude, the quality of national governance and a durable diplomacy make up the qualitative aspects of national power. Taken together, these constitute ‘the national interest’. It is of particular importance that diplomacy is seen as one of the components of national power, and therefore a critical aspect of ‘the national interest’. As Allan Gyngell has noted, diplomacy is foreign policy’s operating system, and it is essential that any consideration of national power, as transacted through a nation’s foreign policy, comprehends the diplomatic processes that are integral to its delivery. Of all the factors that make for the power of a nation, the most important, however unstable, is the quality of diplomacy. All the other factors that determine national power are, as it were, the raw material out of which the power of a nation is fashioned. The quality of a nation’s diplomacy combines those different factors into an integrated whole. A clear articulation of our national interests provides purpose and direction to the conduct of foreign policy – a foreign policy capable of dealing with both the day-to-day issues and the longer-term strategic opportunities and challenges the nation faces. Put simply, Australia’s foreign policy needs to be both transactional and transformational. Despite the challenge of consolidating the many and often competing issues of interest to governments, it is the task of governments to identify which interests are core to our foreign policy. There are inevitably trade-offs to be made between the many ‘interests’ that the community legitimately identifies as important. Interests have to be balanced through a careful consideration of local and international impacts, externalities that condition our ability to promote and defend our national interests, resource availability, community attitudes and the inevitable churn of politics. What governments must do is to identify the areas in which specific interests compete and converge, navigate through them and make the necessary decisions. These are the core interests that will continue to underpin the framing and delivery of a Labor foreign policy. “Security is the primary responsibility of government” has become something of a mantra. But what exactly is ‘security’ in a world more characterised by disruption than by discontinuity? Defence, counter-terrorism and law enforcement are necessary elements of a national security policy. When the community talks about its security, it is also concerned with economic and financial security, job and income security, quality child care, affordable health care and the secure prospect of a dignified retirement. In a disrupted world, security concerns are expanding in their scope. People remain worried by war and the threat of war. But they are also increasingly worried by the political and social impacts of growing economic inequality. Governments also have to consider threats heightened by increased connectivity such as cybercrime, pandemics, the displacement and movement of people, and global terrorism. And they need to consider the effects of climate change. As I said earlier, the twenty first century is already distinguished by the divergence between military power and economic power. This has as yet uncharted consequences for security at the global, national and community levels. The key issue here is the evolving relationship between the US and China. A cooperative relationship between these two major powers would enhance our ability to act in our security interests. An antagonistic relationship would severely constrain our ability to exercise our choices across each of our core national interests. Governments can no longer address the basic dynamics of global insecurity whilst operating economic and security policy separately. Governments everywhere, particularly in Europe and the Americas, are becoming as sensitive to threats to internal stability, harmony and cohesion as they are to external threats of armed coercion. Consequently, social and cultural policy, human capital policy and urban planning policy have become more pertinent. For Australia, and for a future Labor government, we need to be confident in dealing with complexity. We need to be able to work in different dimensions simultaneously. We need to address the complex of factors that impinge on national security and well-being. This requires us to avoid the trap of binary choice. While China and the US may be the dominant features of our regional strategic landscape, we actually live in a neighbourhood where our shared interests are greater than those that divide us. This is an enormous strategic asset, though one that we seldom play into our policy calculations. Our ability to work with our regional neighbours to expand our shared interests while respecting the neutrality of our ASEAN partners, would be an expression of our diplomacy that could actually assist China and the US develop a cooperative relationship in the Asia-Pacific region. So we need simultaneously to broaden, deepen and strengthen our historic links with allies while we develop new ways of managing relationships with new powers, China and India among them. If our core policy focus is on ensuring that the benefits of economic prosperity, productivity growth and international trade are equitably distributed, nationally and internationally, then our security policy interests become more manageable. In short, ‘beggar thy neighbour’ is no more a recipe for security and stability than is ‘threaten thy neighbour’. Our treaty relationship with the US – the ANZUS Treaty – is a strategic asset, not least of all because it has evolved over the 65 years since its entry into force, to reflect long-term interests rather than short-term threats. The operative provisions of the treaty are to consult, should threat appear, and to act to meet the common danger, should threat materialise. In view of the changed complexity of the security domain in which both Australia and the US operate, we need to expand our bilateral consultation across a wide number of fronts while deepening the bonds between us across the entire gamut of the bilateral relationship. In particular, we have an abiding interest in continued constructive political, economic and strategic engagement by the US in our region. Economic strength is perhaps the central plank of national power. Without economic strength, we lack the resources to meet the imperatives of strategic security. Economic strength is also central to the wellbeing of the Australian people – of all of the Australian people. For it is economic growth that delivers the rising living standards, the technological innovations and the social advances. It is economic growth that delivers the improvements in human welfare, that lifts people out of poverty, and that creates the opportunities for future generations that are central to Labor’s vision of a strong, prosperous, fair and just Australia. But the task of managing national economic prosperity has become harder. It is not simply a task of constantly redesigning and recalibrating domestic economic policy, but a task that demands a comprehensive international diplomacy. We must ensure that Australia is able to take advantage of international economic opportunities. We must ensure that our interests are advanced in global economic, financial, investment and trade institutions. And we must ensure that these institutions are capable of arguing the benefits of globalisation and open trading systems. A progressive economic, investment and trade policy is central to our ability to meet these challenges. And because a robust international economic, financial, investment and trade program raises national living standards, it builds national power. Australia has both an interest in, and the capacity to negotiate on the global stage to support a robust international trading system. We need to be working with like-minded nations, as well as the nations that might need a measure of persuasion, to create a world where people can live in the reasonable expectation of a secure and worthwhile life. For Australia, a globally integrated economy is a critical national interest, because the growth that results from an open trading system, and from both inward and outward foreign direct investment, goes to the core of our economic prosperity and our national well-being. It also affords us a place in the economic councils of the world – an expression of both our role in building and maintaining an open investment and trading system and our reliance on the success of such a system for our own economic well-being. As my colleague Chris Bowen put it to you earlier this year in his address to the Lowy Institute, we are supporters of an open economy and an open trading system. Since the establishment of the Cairns Group by the then-Trade Minister John Dawkins in 1984, Australia has been an instigator and an active participant in global efforts to break down trade barriers, open up markets to competition, and deliver broad-based economic growth. The endurance displayed by five different trade ministers saw the exhausting Uruguay Round of global trade negotiations brought to a conclusion in 1993. As Prime Minister Keating said at the time, it was “a tip-top outcome for Australia . . . the largest trade deal ever done”. But trade is just one element in the complex network of economic and financial relationships that define the global economy. During the 1997 Asian Financial Crisis, Australia’s $1 billion contribution to the bail-out packages for Indonesia, Korea and Thailand, and its success in persuading the IMF to impose less onerous conditions on the bail-out recipients not only advanced Australia’s economic interests by helping our Asian trading partners weather the crisis – it also boosted Australia’s standing as a member of the international economic community. Likewise, the 2008 Global Financial Crisis (GFC), that challenged the economic resolve of the Rudd Government, showed how international developments can have profound impacts on domestic economic prospects. Prime Minister Rudd’s personal investment in the elevation of the G20 and its supporting institutions must rank as one of the finest achievements of any Prime Minister. Australia’s energy and engagement in international approaches to economic crisis management was also a tribute to the quality of Australia’s economic management. Australia’s full and active participation in the economic and financial councils of the world over the past thirty years substantiates a core national interest, as does an unencumbered trading system. While the effects of globalisation may have been uneven, the fact remains that barriers to trade and constraints on capital flows ultimately act against our national interest. Globalisation brings great economic opportunities – but it also presents real challenges that must not be swept under the carpet. Labor has always understood that to prosper in an open and internationalised economy, Australia needs to invest in our people – in the education, training and skills they need to take advantage of the opportunities; and in the assistance and support that helps people affected by economic volatility to make it through the difficult times. Labor’s support for international economic engagement and its support for a strong social safety net are two sides of the same coin. Economic growth is the engine that drives a nation’s cohesion, inclusiveness and resilience, as well as its wealth, prosperity and power. It is also the engine that allows a nation to design and implement effective security policies that deliver strategic options protecting and promoting the national interest while contributing to broader regional and global security. As Allan Gyngell noted, “In a world whose largest components are propelling themselves erratically in uncertain directions, the slipstream will be a dangerous place for Australia to linger”. With all its stops and starts, and its occasional bouts of indecisiveness, Australia’s Asian diplomacy has been successful. And the Asian region is where we have the best chance of moulding a stable and secure strategic and economic environment, embodying respect and the rule of law. And with those two elements in place, we should be able to deepen the pattern of regional collaborative behaviours that generate the trust that is the basis of long term stability, security and prosperity. Convergence within the South East Asian region is the essential pre-requisite if we are to develop the kinds of bilateral and multilateral cooperation that enhance stability, grow prosperity and deliver strategic security. We need to identify where convergence is possible. Then we need to act on it. In this regard, Australia’s size and its distance from other theatres of strategic tension contribute to our national power. Our relatively small population does not. A stable, secure and prosperous region to our north is fundamental to our security. We must keep investing in this, in ways that are often obvious, sometimes subtle. The more obvious investments are the intersecting multilateral and bilateral defence cooperation arrangements, trade, political cooperation and policy consultations, development assistance, people-to-people connections through education and tourism, communications and aviation links, and cooperation in a variety of regional and international forums. This is another arena in which Australia has a distinguished record. For over forty five years, our support for the Five Power Defence Arrangement has continued to contribute to regional stability and security through the maintenance of the Integrated Air Defence System involving Singapore and Malaysia, the conduct of joint exercises and, of growing importance, intelligence sharing. But the most significant example of Australia’s economic initiative and energy – and of Prime Minister Keating’s ability to marshal the arguments for US participation – was the formation of APEC, which remains a major element of the Asia-Pacific’s economic architecture. And in this context, I should note that development assistance, particularly in the Asia-Pacific region, remains a critical element in Australia’s ability to realise its national interests. Cuts to development assistance not only worsen the lives of people living in poverty, but contribute to instability – with consequences that impact on the stability of development assistance recipients and on our security interests more generally. Furthermore, cuts to Australia’s development assistance diminish our ability to make our voice heard, and contribute to global efforts to alleviate poverty. The more subtle investments are to be found in the support we give to the adoption of democratic and participative political practices in South East Asia, and in parallel with the expansion of democracy, a growing acceptance of the value of the rule of law. A politically stable, strategically secure and economically prosperous Asia-Pacific is not only in the interests of all the nations of the region, but central to the ability of any Australian government to deliver our national interests. Convergence of interests doesn’t just happen. It has to be worked at. Australia is not a major global power. But we are inevitably affected by global events, and we need to be global in the way we think about ‘the national interest’ – our national power – and in the way we go about shoring up our ability to prosper in a disrupted world. In a disrupted global environment, there is a natural tendency for governments to hedge against adversity by hunkering down, avoiding both giving offence and being offended. This is precisely what the Turnbull government is doing by failing to engage energetically and assertively with the Trump administration. The most effective response to disruption, however, is to deal with it actively and constructively, working in concert with like-minded nations while identifying and managing, as well as we can, the sources of disruption. Just as integration in the global economy is a key national interest, so also is constructive internationalism, or, as Gareth Evans termed it, good international citizenship. While this might appear, at one level, to be an expression of morality, it is in fact an expression of enlightened self-interest. For nations such as Australia, playing as we are in the second eleven of economies but with global interests, constructive internationalism is a core national interest that delivers fundamental security and economic benefits. It also signals our intention to address questions of ethics and morality that are inevitably part of international business. Global interdependence remains a basic construct of the global environment. Flows of private capital, exponential advances in communications, the global footprint of major corporations, the interconnectivity of capital markets, not to mention domestic and international travel, all combine to bring nations and people together. But multilateralism is at risk, where it is not under threat. Those with the greatest stake in a strong and effective multilateral system – the liberal democracies – are dealing with the forces of anti-globalisation, resurgent nationalism, economic inequality and social division. And as they seek to forge a new domestic consensus around core values such as equality, inclusion, toleration and respect, they have paid less attention to the benefits of multilateral approaches to shared problems. Security, prosperity and the stability of our neighbourhood cannot be achieved without consistent and constructive international activity. Agency, as it is sometimes termed, is critical in the conduct of international affairs. It is a critical role of government to make choices that consolidate the intrinsic power of the nation and generate enhanced national well-being. And because agency can only take effect through appropriately designed structures and institutions, supporting and strengthening multilateral institutions is a key part of Labor’s constructive internationalism. These core national interests give purpose and direction to Labor’s foreign policy. Many of you will recall Leigh Sales’ remarkable interview with former Prime Minister Paul Keating when he put his finger on what made Australia matter. When they were handing out continents, not many people got one. We did. We got a continent of our own, unbelievably. 20 million of us. This is not just about geographic size, though it does matter. It’s also about good fortune. It’s about location, the fulcrum as it were of the Asia-Pacific region, bordering on the fastest growing region in the world. It’s about resources, both human and natural. It’s about enterprise and skills. It’s about our democracy and our values. We are not a global power, though we do have global interests. But Australia matters as a strong and outward-looking economy that places us in the G20. 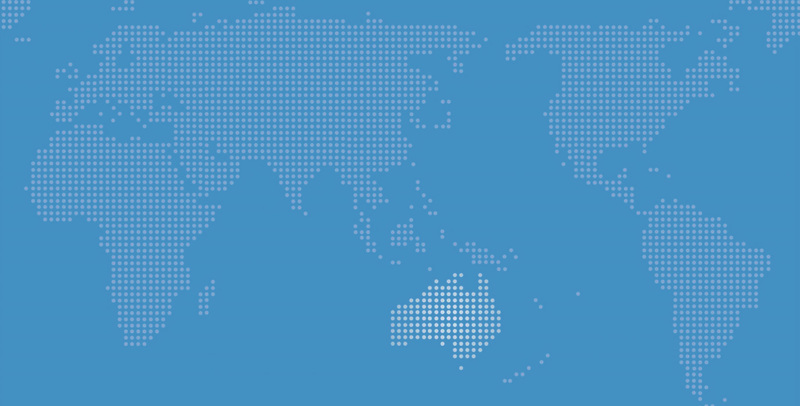 Australia matters as a forward-looking and constructive player in the global community. And Australia matters as a nation that models and promotes those values that make communities inclusive, harmonious and prosperous. Today I have argued that our national interest is considerable, since the various quantitative and qualitative dimensions that together constitute our national identity and power are substantial. I have also set out the core national interests that will provide purpose and direction to Labor’s foreign policy. It is the job of our foreign policy, and the operating system that enables its execution, diplomacy, both to protect the national interest and to promote our national interests. While the practice of statecraft is always fraught, particularly in times of disruption, it is much more tractable when we approach the task with clarity of purpose and confidence of judgement. As you would all know, first mover advantage lies with whoever sets the agenda. And that is exactly what we should seek to do, modestly but confidently.